This entry was posted on 22nd June 2016 by WoodBlocX. 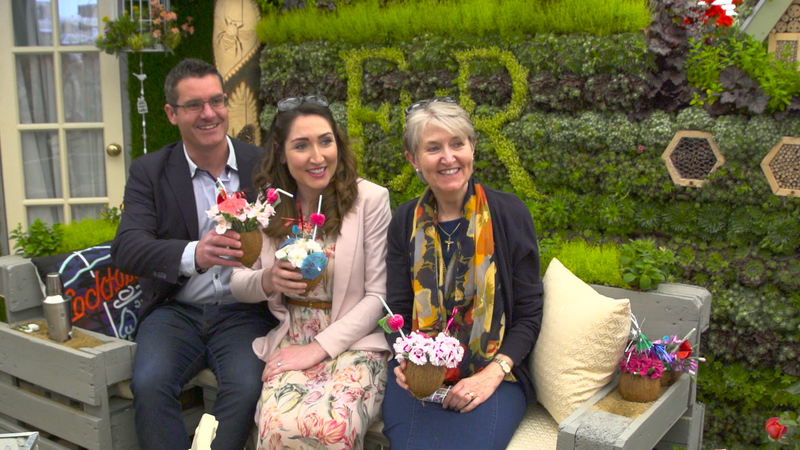 It’s that time of year again, the weather is warming up, the flowers are starting to bloom and the RHS Chelsea Flower Show opens its gates to showcase the best of the world’s garden design talent. 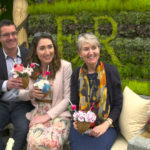 Whilst we’re not exhibiting this year, WoodBlocX has been included in The Sun newspaper’s Flower Square Garden, which is a series of four 4m x 4m square floral exhibits based in the Grand Pavilion. Our BlocX have been featured in Lovania Nursery’s garden called ‘Room Outside’ designed by Rick McKeever. Rick has used WoodBlocX as an integral part of his design, incorporating four stacked tiers of painted BlocX for the Children’s Corner. There is something different to see on each tier, including a working a train set complete with a Lego model of London’s Tower Bridge, a fairy garden, a sandy beach scene with a lighthouse and the top tier has a cascading waterfall. Rick’s design shows the versatility of WoodBlocX and how the BlocX can be used in unusual ways to create different effects. The garden also includes a living wall, green roof and a central dining table featuring turf for placemats and garden trowels and forks for cutlery and a seating area made from wooden pallets.